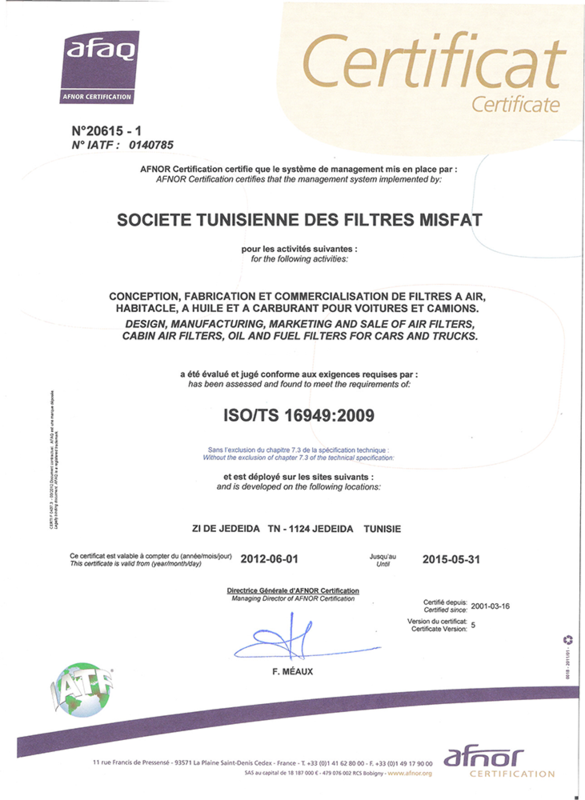 Certified processes aiming to the full Customers satisfaction. Adoption of a universal and inclusive integrated management system. Balance between subsidiaries autonomy and standardized quality processes. All our processes support the single goal of moving along with our partners (clients and shareholders) towards achieving performance improvement and customers satisfaction through higher effectiveness and efficiency of all the processes and thanks to our know-how, resources and good management. 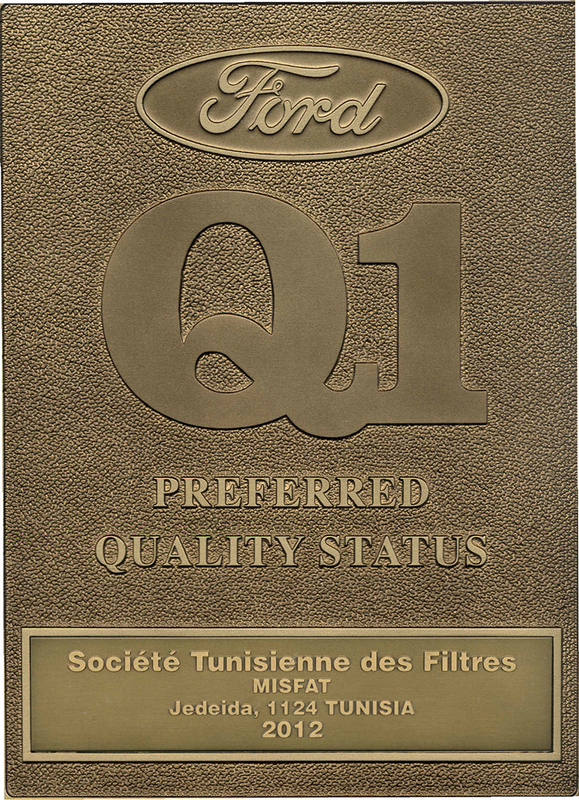 Misfat filtration is certified ISO 9001, ISO / TS 16949, ISO 14001 and OHSAS 18001, and recoginzed by Ford in 2012 as Q1 prefferred supplier.